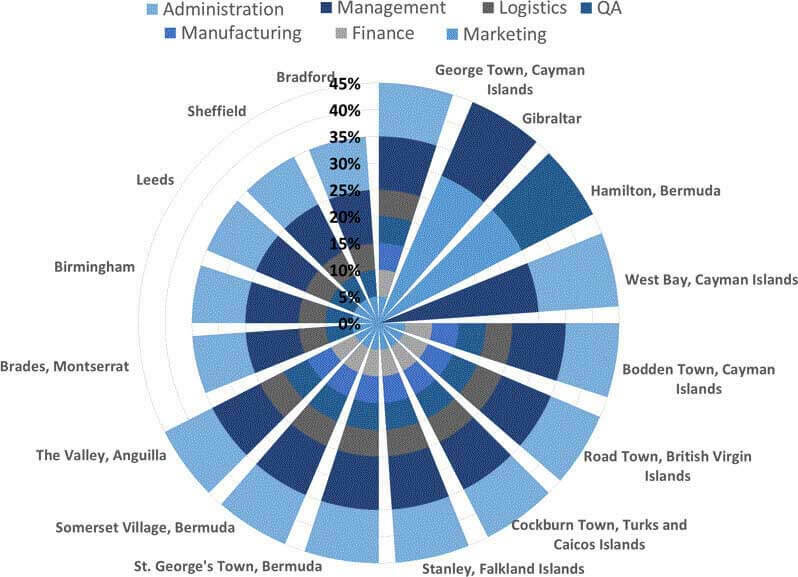 We allow our customers to create high quality Wind Rose Diagrams for a fraction of the cost of rival software providers. Our template-based software is simple to use and the final diagrams are highly customisable. You are able to select the size of each wind speed bin, or to save time, you can opt to use hour standard wind speed bins. Our software will automatically converts a variety of measurements into fantastic rose diagrams. 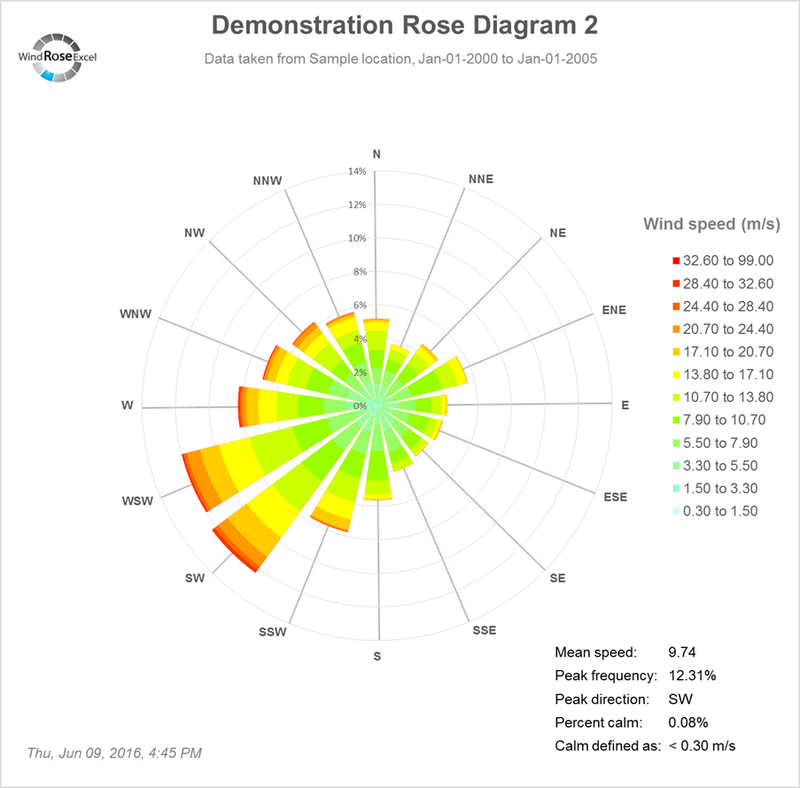 WRE v1.7 customers can enter raw wind speed data (wind direction and wind speed) and filter it into to wind speed bins and standard cardinal wind directions. This will save you a huge amount of time, allowing you to produce a wind rose in 1 – 2 minutes. You can also choose between the following wind speed units: mph, kph, knots and m/s to be displayed on the final diagram. Input data can be either cardinal directions or degrees. 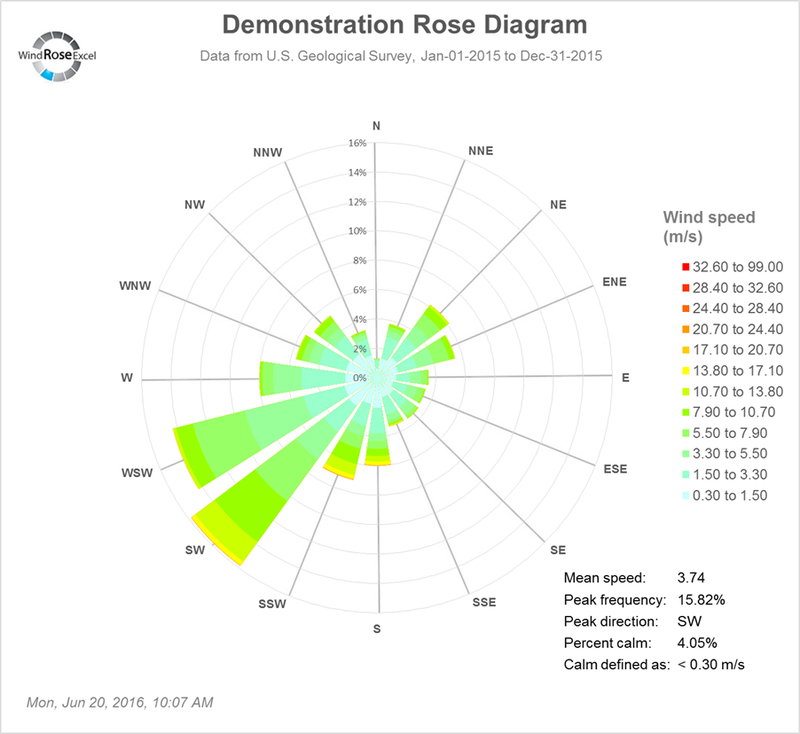 With the appropriate wind speed data, we guarantee that all of our customers will be able to produce a wind rose diagram with relative ease. We are always happy to answer any questions via the contact us page. Have complete control over your Rose Diagrams with custom labels – ideal for your next business project. 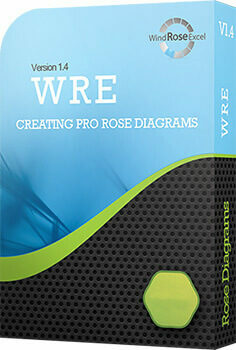 WRE+ offers a greater degree of flexibilty when it comes to designing and labelling your Rose Diagram so that you can achieve exactly what you need to. 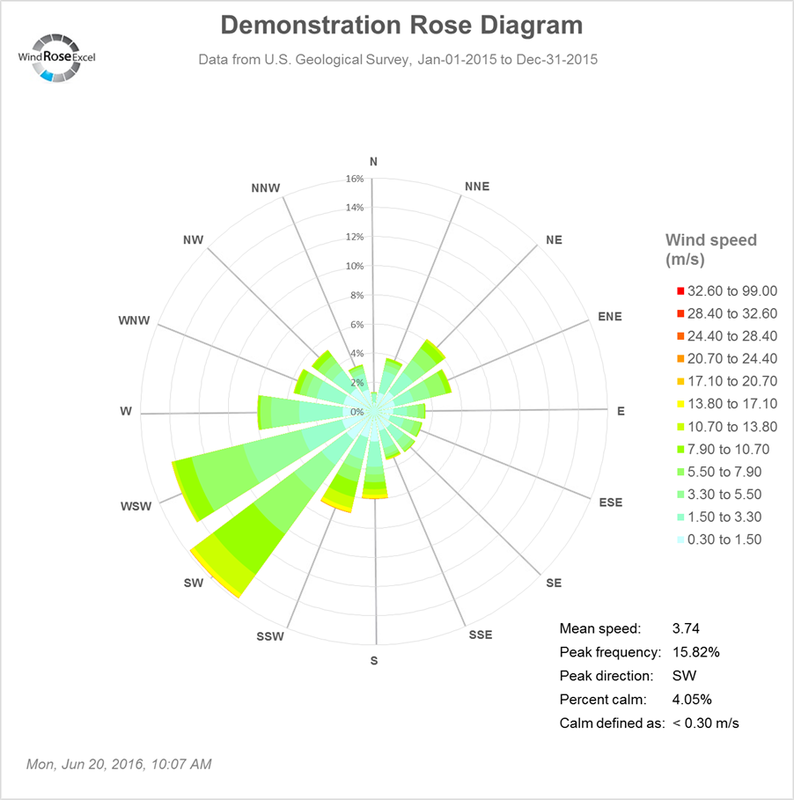 With the appropriate data, all of our customers should be able to produce a rose diagram with relative ease. We are always happy to answer any questions via the contact us page. WRE+ provides a very unique way to display data, and the customer service provided by the company is excellent. I have been very happy with the services provided and would recommend them with no hesitation. Emily Del Bel Senior Sensory Scientist - St. Croix Sensory, Inc.